2013 was an unbelivable unicycle year for me. 13 TV Performances in 6 different countrys helped me to show my sport to a wide audience and to achieve new tv and guinnessrecords. 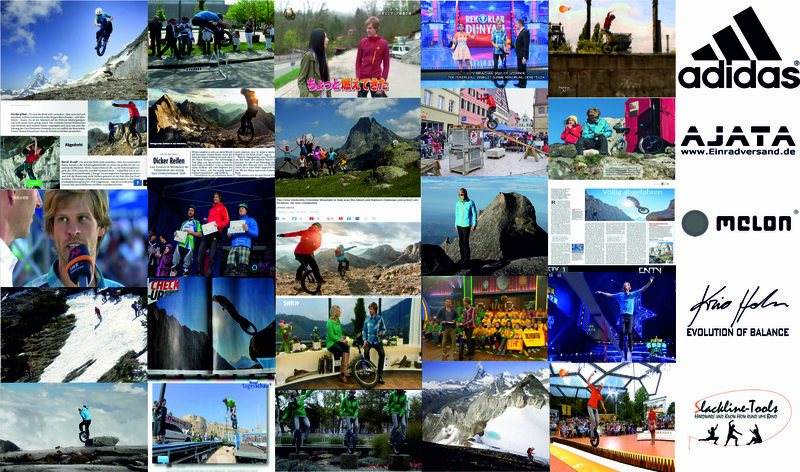 Highlights where my Slackline Record in guinness china and two appereances in the „zdf fernsehgarten“. Along this I also was featured in many magazines. Thanks to every body who supported me in this awsome year!